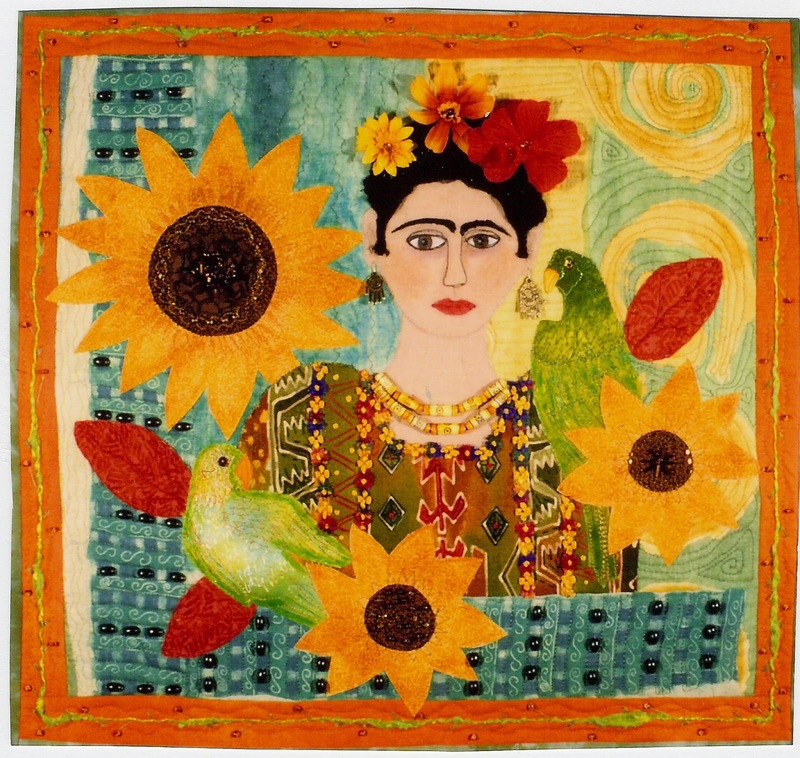 The final artist in the Masters was Frida Kahlo--a subject I have used many times in my art. 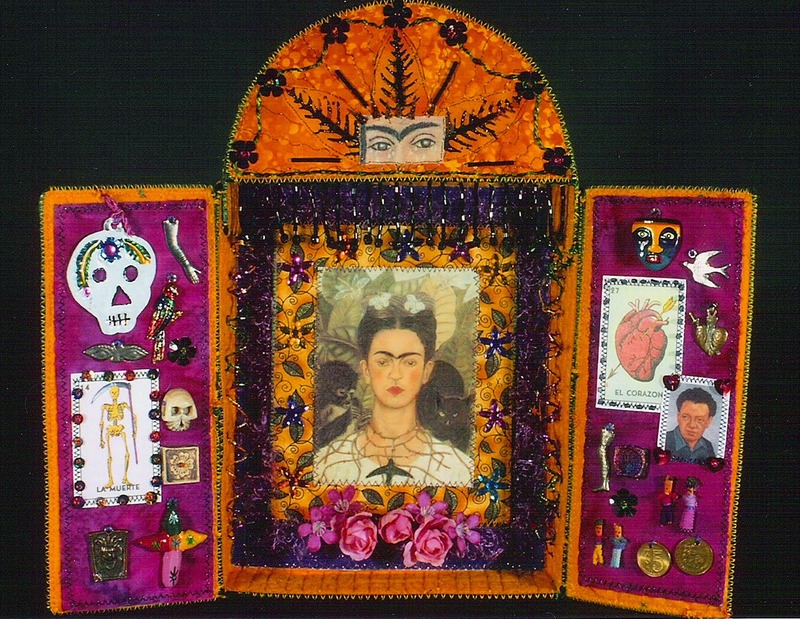 I decided to do a little Frida retrospective here along with the pages I made in my art journal for the class--so there are art quilts and shrines etc. Many photos. 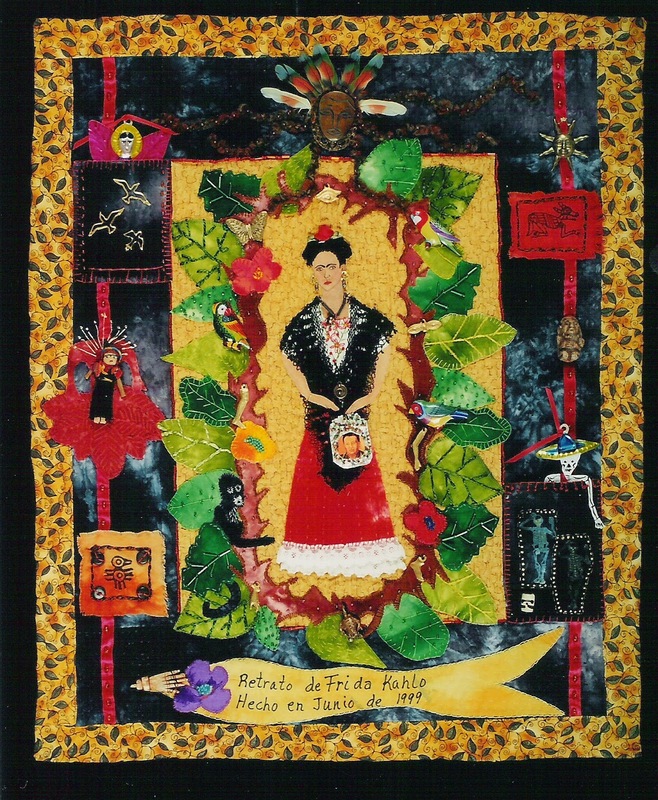 Above is the first Frida art quilt I ever made called Frida y su pericos. Frida with handmade tile top. 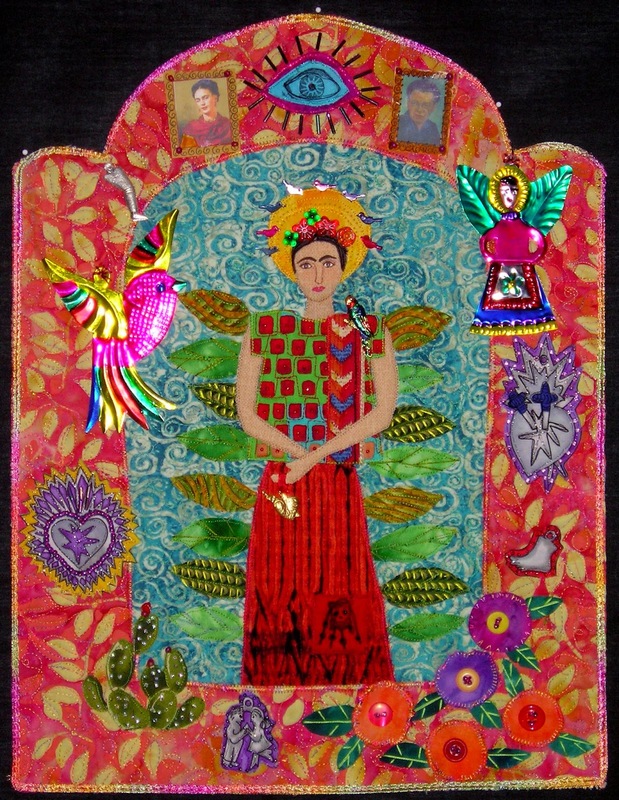 Our Lady of Coyocan--this is the only Frida quilt that I own--all the rest were sold--there are many more artquilts that I made than shown here. This is one third of a room divider in my studio--it is made of tiny pieces of magazine pages-glued on bit by bit--I must have been crazy!! 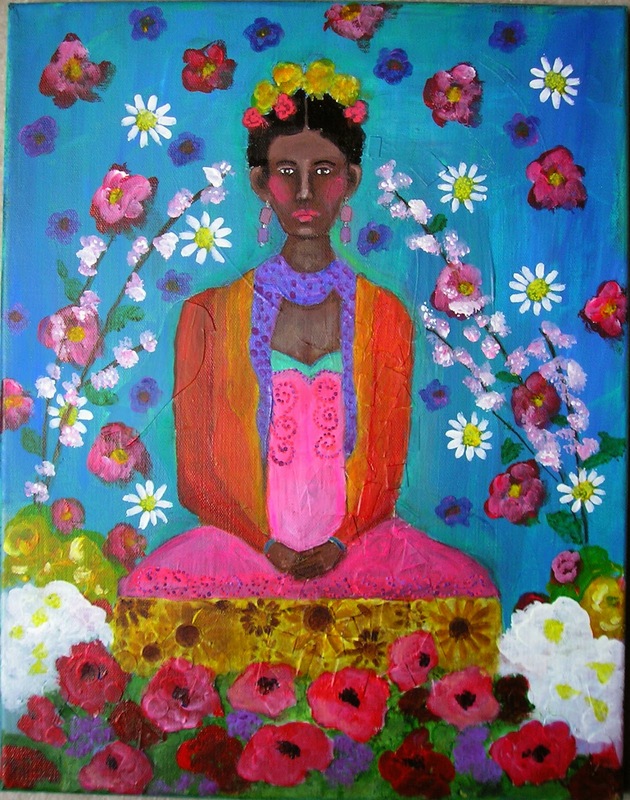 A recent painting in the style of a photograph of Frida. A page from my art journal for the Masters class. 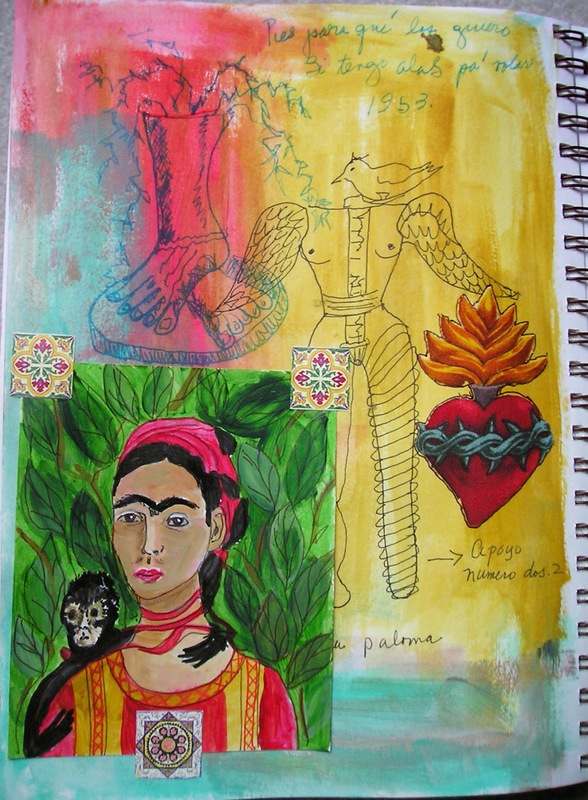 Hope you have enjoyed seeing a few of my pieces of Frida art. Really enjoyed seeing your art. I work with mixed media, paint, fabric, paper, canvas. I also have a blog at saltairandpistachios.com if you'd like to check it out. Photos do not do them justice Janet. They are all fab. Oh I do love the blues in the Frida y Casa Azul. They are all lovely, but I"m hooked on the contrast of that blue and the mustardy yellow. 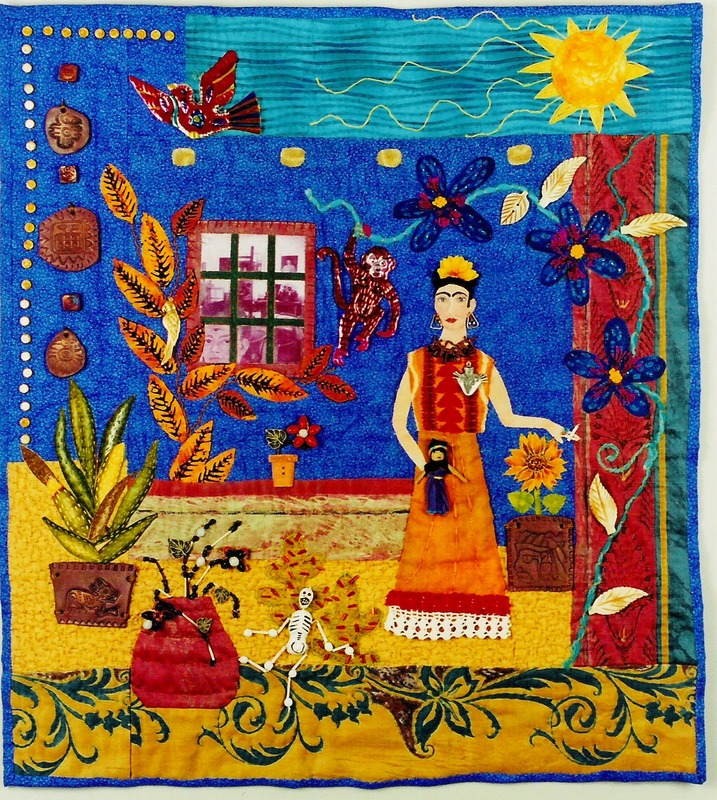 Janet all of your Art quilts are just amazing and I am in "awe" of your room divider, just beautiful work. I love everything, thank you for sharing! Janet- you really rock the Frida!! no doubt you have a talent for portraying her through your art pieces- whether textile or with paint! I love each one, but the divider will always be my favorite-not crazy-but inspired!! Frida really is the best muse isn't she? I enjoyed seeing your work inspired by her and her paintings. 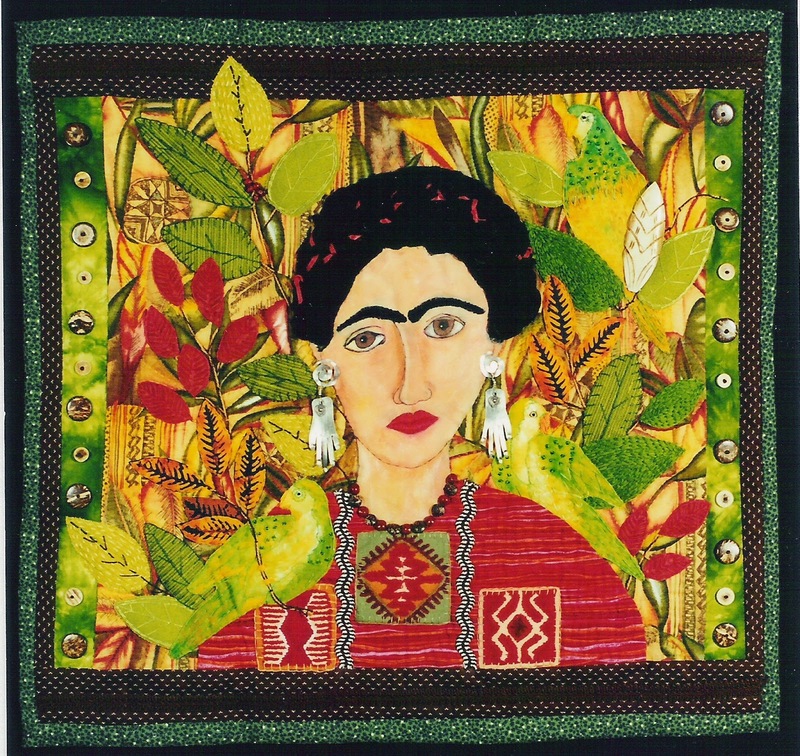 Love your fabulous Frida collection! I am a dabbler. I love experimenting-trying new products-taking online classes-learning new techniques and about different artists. I am very interested in the textiles, images, symbols and iconography of other cultures. The joy is in the process of creating.